Radio personality, actor and producer Casey Kasem passed away on Sunday, June 15th, at the age of 82. Although known to millions in the States as the presenter of The American Top 40 (until 2004) he will perhaps be best remembered for his work as a voice actor. He appeared in dozens of animated series over the years, including Transformers, Battle Of The Planets and Superfriends, but he was best known for being the original voice of Shaggy in Scooby Doo. He brought to life TV's most beloved cowardly hippy in various different incarnations of Scooby, and became a big part of millions of childhoods worldwide as a result. 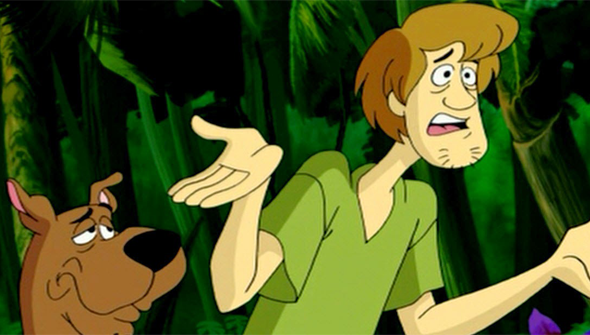 His last performance as Shaggy was in 2009, but he later cropped up in a (non-Shaggy) guest role in the latest incarnation of the franchise, Scooby Doo Mystery Incorporated. With Scooby Doo still seemingly as popular with today's kids as ever, his work will live on. May he rest in peace- our thoughts are with his family and friends at this time.